I was wondering how I could APRS to work with the FunCube Dongle under Linux. 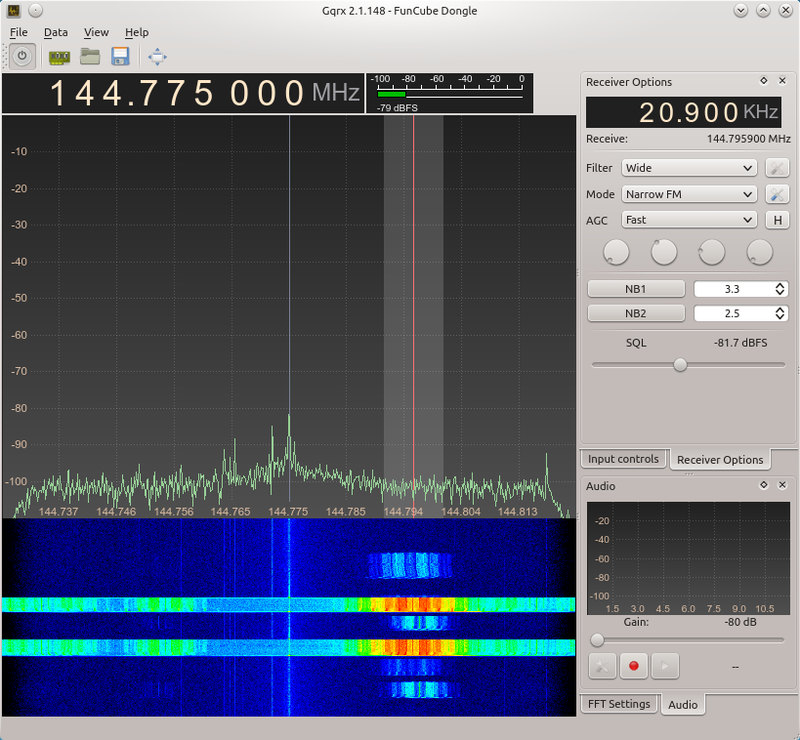 While experimenting with the FunCube Dongle under Linux, I settled on using GQRX by Alexandru Csete. Most of the newer versions have a built in AFSK1200 modem, and the version I use here, Version 2.1.148, is no exception. Using some standard UNIX commands, we can filter out the modem information and the AX.25 frames and then create a TCP connection which XASTIR can connect to. The GQRX software modem precedes frames of this time with a }, so we can use grep to filter those lines out for us by running grep ^} which allows through only lines starting with }. As the } is inserted by GQRX’s AFSK modem and isn’t part of the APRS protocol, we must remove it. We use sed -e “s/^}//” to remove the } from the beginning of each line. Finally, we use socat to create a TCP stream from stdin which allows us to connect XASTIR to an Internet Server on our PC and receive the data from the FCD. Running socat STDIN TCP-LISTEN:14580 tells socat to take input from stdin and listen to TCP port 14580 for a connection for the output. 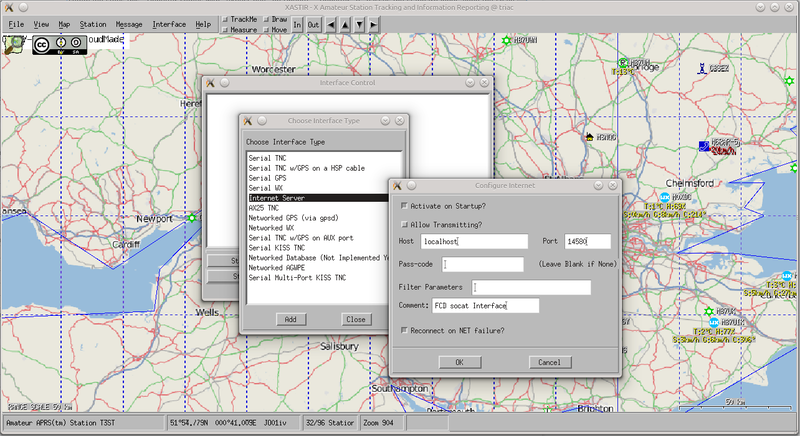 Port 14580 is the standard APRS-IS connection port – It can be whatever port you want. 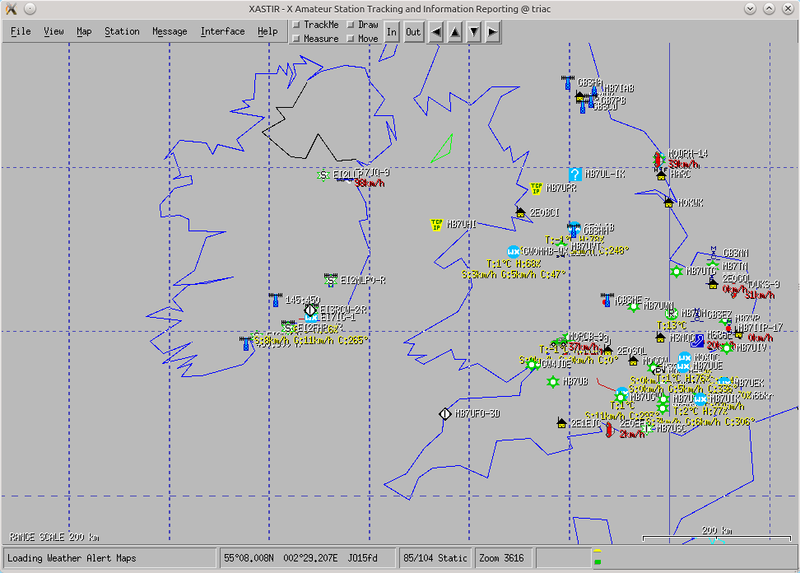 Notice that it isn’t an APRS-IS server, and doesn’t accept any kind of control, filtering, duplicate checking, etc. Here, all the commands are linked together. Notice that the final command, socat, is buffered, so it can control the stream speed. Next we connect up XASTIR with socat. I assume that XASTIR is installed and running okay. 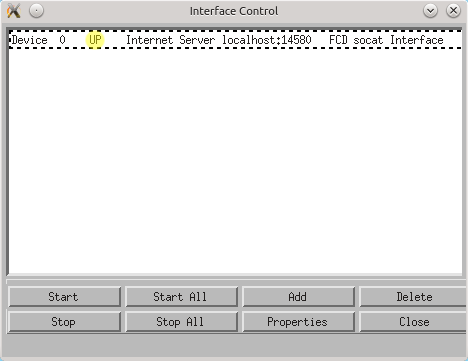 From there, click Interfaces and then Interface Control and then Add, select Internet Server and Add again. Unless you’re doing something smart, the Host will be localhost, Port will be as above (14580). Untick Allow transmitting? as there’s no support for it with socat. Leave passcode empty as socat won’t care, and remove the filter so the box is empty. Now as soon as valid frames come through, you will receive them on the XASTIR map. Note that this only works for stations that have been digipeated already, because of the crude nature of the dataflow above. If you were to write a small bash script to fix the un-digipeated data into the correct format, you could receive all the stations heard. 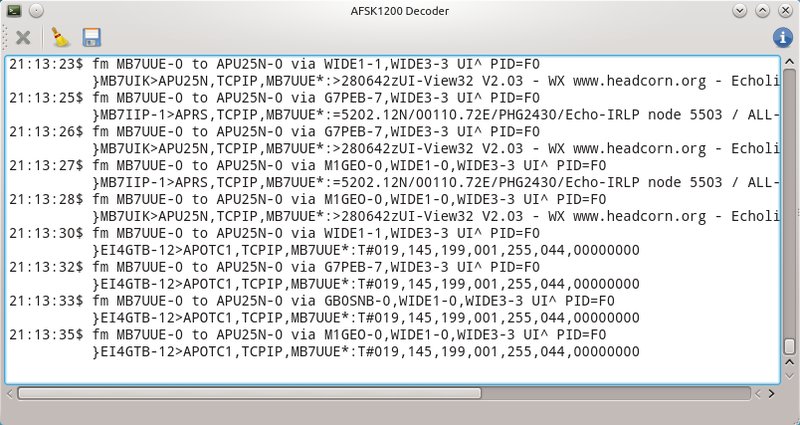 The data is there, just unusable in the format from the AFSK decoder.